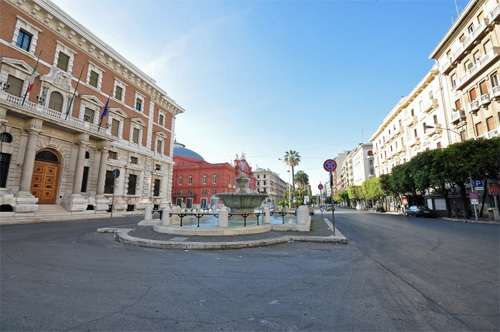 Corso Cavour is a street in the old city of Bari, Apulia in Italy. 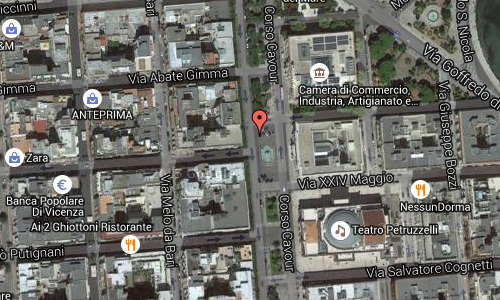 in the building close to the fountain, you’ll find the Bari branch of the Banca d’Italia. In the red building behind the fountain, the Teatro Petruzzelli is located. 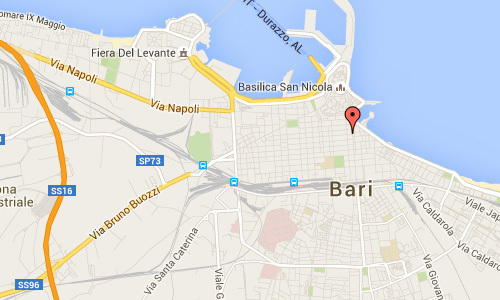 The Teatro Petruzzelli is the largest theatre of the city of Bari and the fourth Italian theatre by size. The history of the Teatro Petruzzelli of Bari begins when Onofrio and Antonio Petruzzelli, traders and ship builders of Trieste, presented the designs for the theatre drawn up by their brother-in-law, the engineer Angelo Bari Cicciomessere (then Messeni) to the city of Bari. The proposal for building the Petruzzelli was accepted and, on 29 January 1896, a contract was signed between the family and the city administration. Two years later, in October 1898, work began and it ended in 1903. During the night of 26 and 27 October 1991 the theatre was completely destroyed by fire, the result of arson. The last opera presented was Norma. The criminal trial of those accused of setting the fire ended with the acquittal of the defendants and the condemnation of the perpetrators of the incident. A civil action followed which involved the Messeni Nemagna family and temporary manager Fernando Pinto, who was accused of failing to insure the theatre, ended with his conviction and the order to pay compensation of 57 billion lire in favour of the owners of the theatre. On 21 November 2002 the Ministry for Heritage and Cultural Activities signed a “Protocol of Understanding” between the family that owned the theatre and the City, the Province of Bari and the Apulia Region stating that the theatre would be rebuilt by 22 November 2006. 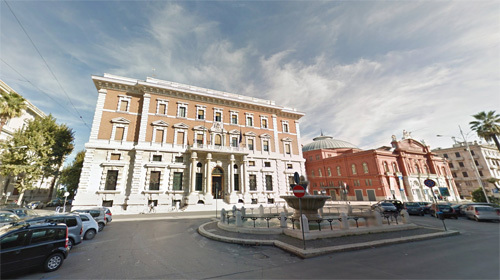 However, since the work of reconstruction never started, on 3 October 2006 the Theatre become the property of the Municipality of Bari in accordance with an Article related to the Finance Act of 2006. But on 30 April 2008 the Constitutional Court, ordered that the Theatre be given back to the Messeni Nemagna family. On 6 December 2009 the first opera season in the re-built theatre began with Turandot by Giacomo Puccini, directed by Roberto De Simone, the orchestral under the direction of Maestro Renato Palumbo. More information at en.wikipedia.org and en.wikipedia.org/wiki/Teatro_Petruzzelli and www.fondazionepetruzzelli.it.